01-29-2014 scott Box Text Which Way Now? 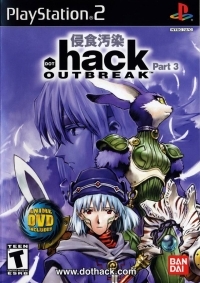 In the 3rd chapter of the .hack saga, "The World" continues to deteriorate as the virus spreads out of control. As the outlaw player, Kite, you must choose your strategy wisely. Not only is the OUTBREAK affecting "The World" in the game, but now repercussions are being felt in the real world too. Is there a way to stop this OUTBREAK? Where does the answer to the mystery lie? Fight through contaminated cyberspace as you take on and eliminate enemies and unlock codes to gate hack to even more environments. Will you ever find out who or what is behind this nightmare and wake Orca from his coma? 08-31-2011 scott Box Text Which Way Now? 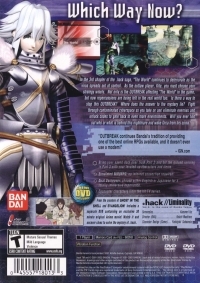 In the 3rd chapter of the .hack saga, "The World" continues to deteriorate as the virus spreads out of control. As the outlaw player, Kite, you must choose your strategy wisely. Not only is the OUTBREAK affecting "The World" in the game, but now repercussions are being felt in the real world too. Is there a way to stop this OUTBREAK? Where does the answer to the mystery lie? Fight through contaminated cyberspace as you take on and eliminate enemies and unlock codes to gate hack to even more environments. Will you ever find out who or what is behind this nightmare and wake Orca from his coma? 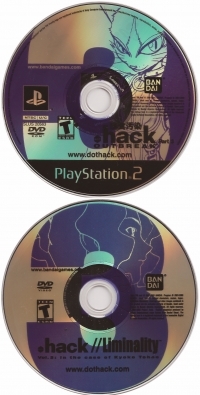 This is a list of VGCollect users who have .hack//OUTBREAK in their Collection. This is a list of VGCollect users who have .hack//OUTBREAK in their Sell List. This is a list of VGCollect users who have .hack//OUTBREAK in their Wish List.